GK ThermalStyleHer Cream Is A Thumbs For Me! Smoothing out the hair is very important for the women of Florida. The high humidity and rain will turn a very professional blowout into a messy work of nature. It important to know your products and what works best for you. I like to use a lot of different lines for any and all of my blow-outs. 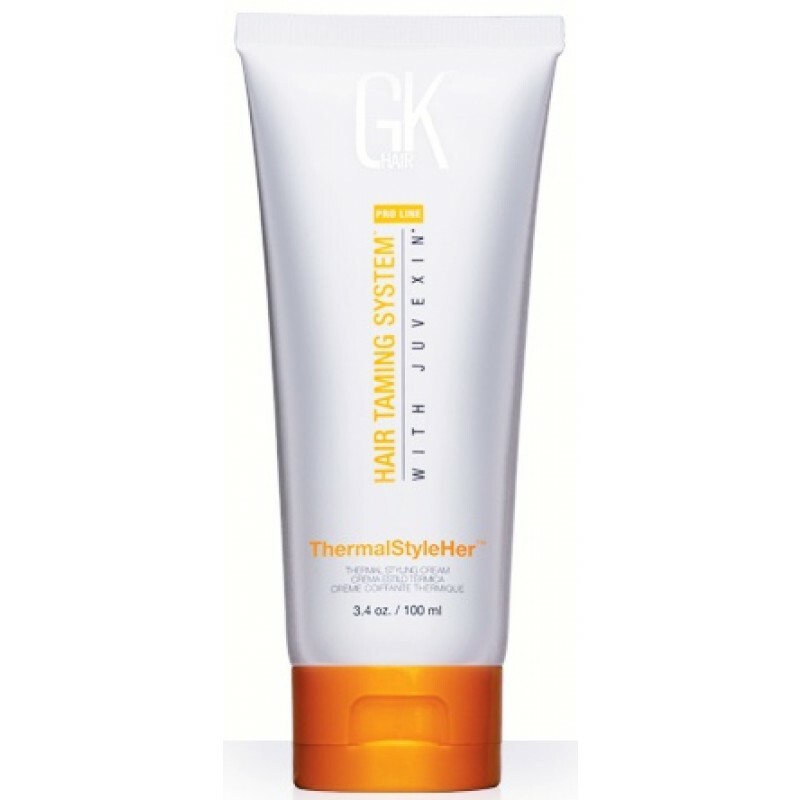 I recently tried from GK a thermal style that works pretty good also if it is mixed with a serum it is even better. This heat activated styling cream creates a smooth finish while conditioning and delivering moisture to the hair. Fortified with Juvexin® and made with natural silicone’s and natural seed oils to leave hair silky, beautiful and protected. Step 1: Emulsify a small amount in palms. Step 2: Smooth through damp hair. Step 3: Blow dry for soft and protected hair. I use a quarter amount for my blow-out and comb through the hair. Also stay away from the scalp when applying your product. Styling products are for the shaft and ends of the hair. Too much of a product will make the scalp greasy. And also will make you drying longer. Comb through the hair with a wide tooth comb. Never use a brush to comb out the hair this will allow for breakage of the hair. Especially the blonde hair color family’s. Blow out the moisture in the hair up to about 70% and then take small sections with a boar or metal brush to finish your style, I always like to add some rollers to the sections while I am completing another section. Give this product a try. Thumbs up from me!!! Pravana Smoothing Treatments Are A Thumbs Up!